He looks SO handsome now. 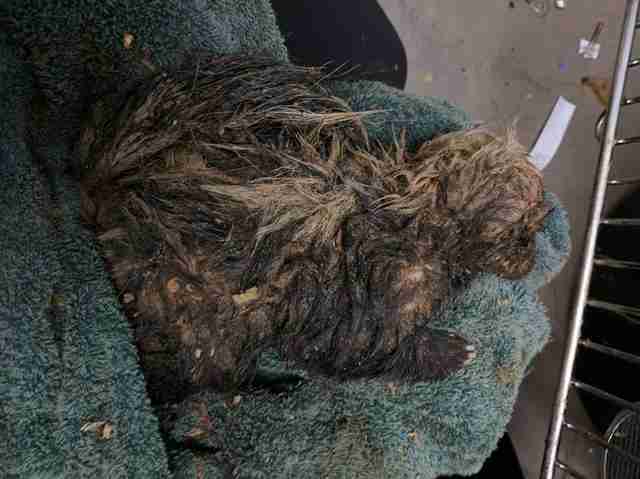 The skunk had fallen into a deep, muddy hole, and he couldn’t get out on his own. If no one had found him, he would have died. A couple months ago, construction workers were putting up a fence in a yard in Oakland, California. They’d dug several holes in the ground where the fence posts would be placed. But when they stopped work for the day, they left a hole open. 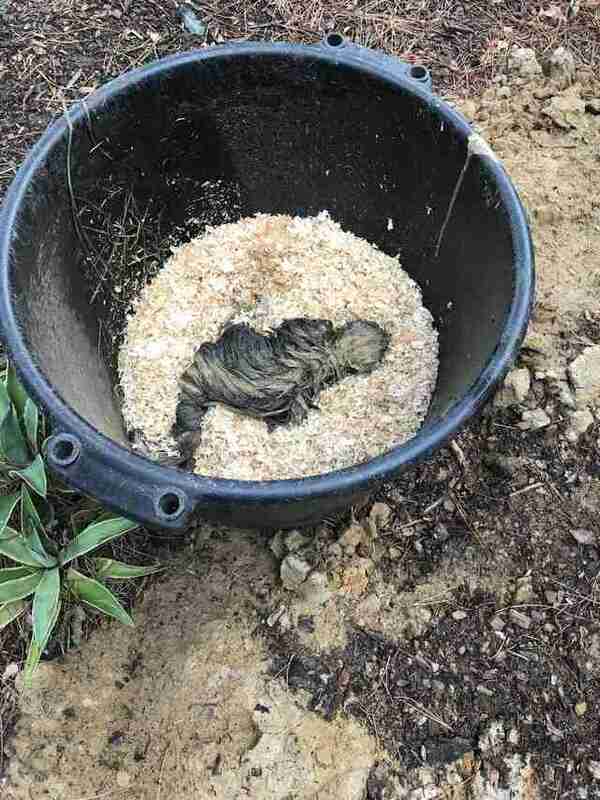 This spelled trouble for not just one, but two skunks — at some point during the night, they both toppled into the hole, which was too deep for them to climb out on their own. The next morning, a local woman heard “screaming” from the yard. 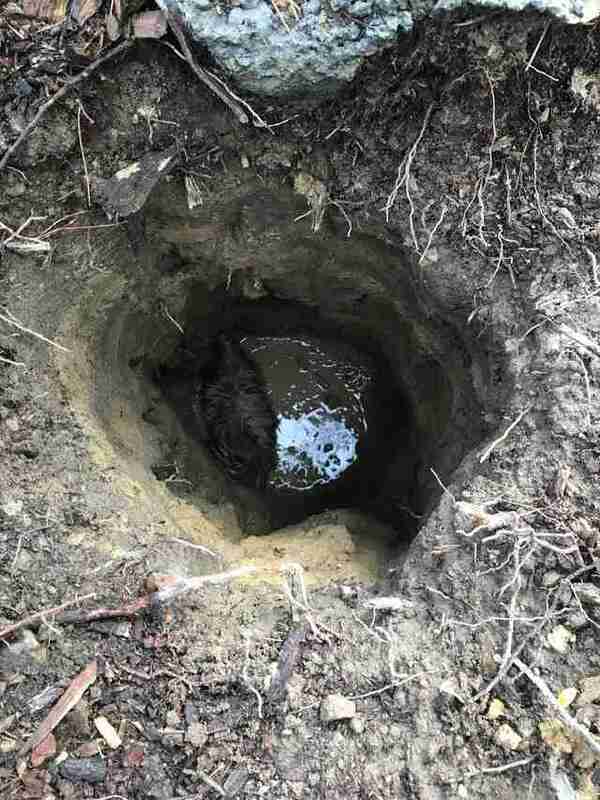 When she went to investigate, she found the skunks trapped on the muddy bottom of the open hole. One skunk skittered away after the woman hoisted him up, but the other skunk seemed badly injured. He was also cold and shivering, and the woman placed him in a bucket filled with cedar bedding to try and warm him up. 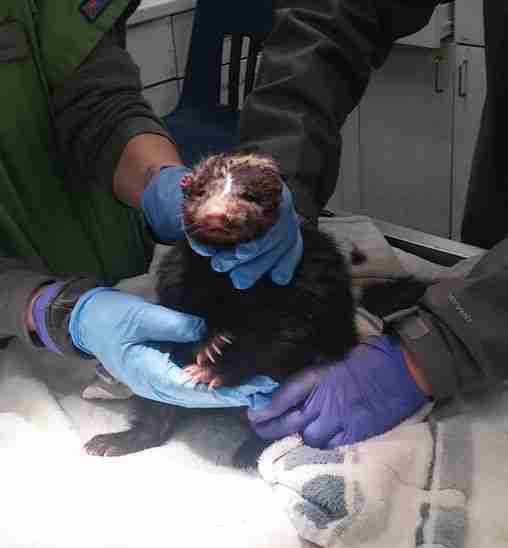 Then the woman rushed the shivering skunk to the wildlife hospital at Lindsay Wildlife Experience in Walnut Creek, California. 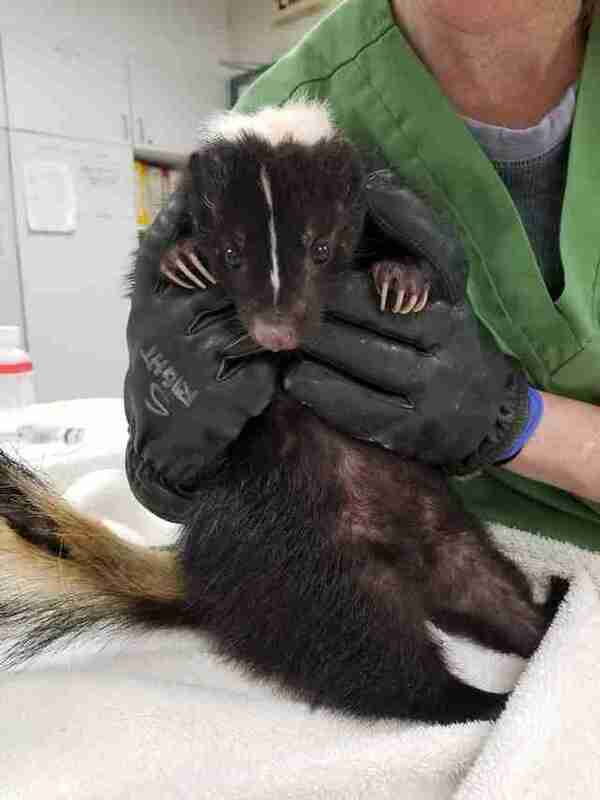 But the skunk was in such bad shape that the vet team wasn’t sure they could save him. The first thing they did was try and raise his body temperature. They also combed the mud from his fur, and gave him dextrose to boost his blood sugar levels. 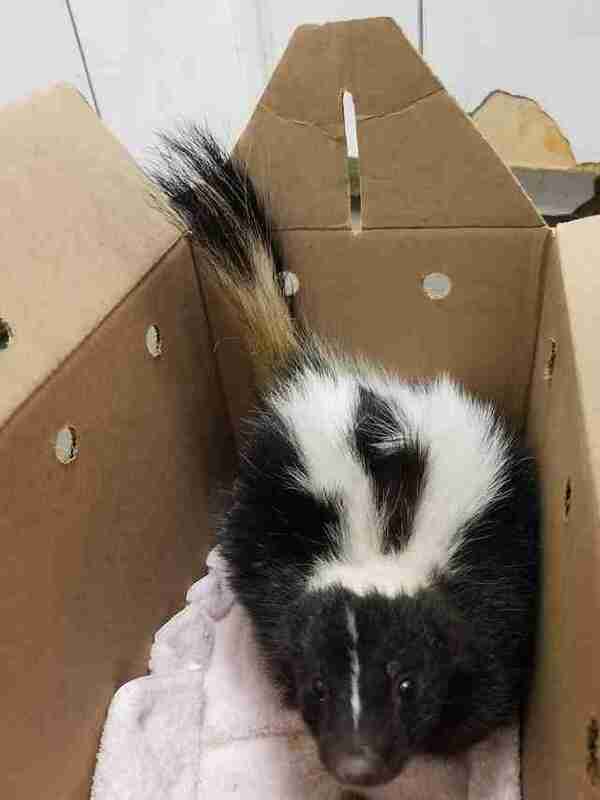 To everyone’s amazement, the skunk perked up the very next day — so much so that the vet team couldn’t safely examine him without placing him under general anesthesia because he was so feisty. Then they noticed his tail injury, which may have been caused by the fall into the hole. “We found out that he had multiple tail fractures — mostly at the tip of his tail,” Daugherty said. But the vet team never gave up on the little skunk, and they worked hard to get him better — they bandaged up his tail, cleaned his wounds and gave him a proper bath. They also decided to amputate the tip of his tail, which allowed the rest of of his tail to heal. To help the skunk take the next step toward release, he was transferred to Sonoma County Wildlife Rescue, where he’s been living in a bigger enclosure with an outside space that will help him readjust to the outdoors. He could be released any day now, and the team at Lindsay Wildlife Experience couldn’t be more pleased. To help save more wild animals, you can make a donation to Lindsay Wildlife Experience.